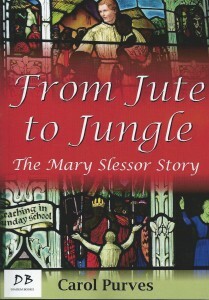 This is the story of Mary Slessor who was a young factory worker in a jute mill in Dundee and went on to become a missionary in the jungle of Calabar, West Nigeria. On the way she faced physical hardship and danger. Cannibalism was still practised by the natives, who were not happy to have a Western woman that the practise was against a Christian religion. When twin babies were born, they were also killed and this was probably the practise which upset Mary most. We have just been able to celebrate the centenary of the death of this fiery missionary. Dundee is justly proud to number her among their heroes. Interesting Facts – Did you know Mary was a red-head with a temper to match? Did you know Mary was the first woman to appear on a Scottish bank note?